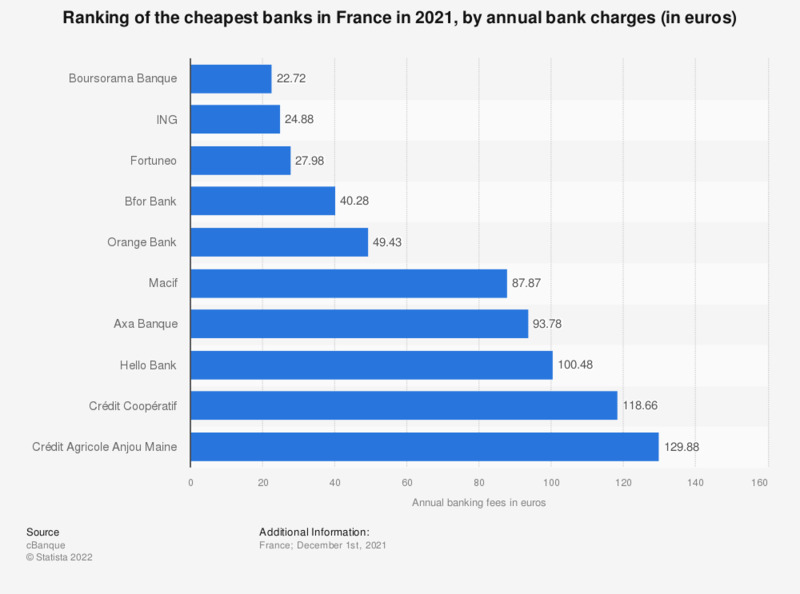 The bar chart shows the first ten cheapest banks in France in 2017, by annual bank charges. That year, Boursorama Banque was the cheapest bank in France with annual bank charges of only 19 euros compared to La Banque Postale whose annual banking fees amounted to 151 euros. The source added the following information: "Study of 196 banking fees lines and 348 banking packages carried out by Panorabanques including 158 banks in metropolitan France representing more than 95 percent of market share. An average profile was created based on the behavior of 102,000 people having made comparisons on the website in 2016."